The Walking Dead comic series is now available for comic fans, and readers, to buy on Google Play Books. Image Comics, the publisher for The Walking Dead comic, recently made the announcement that it has made its titles available. 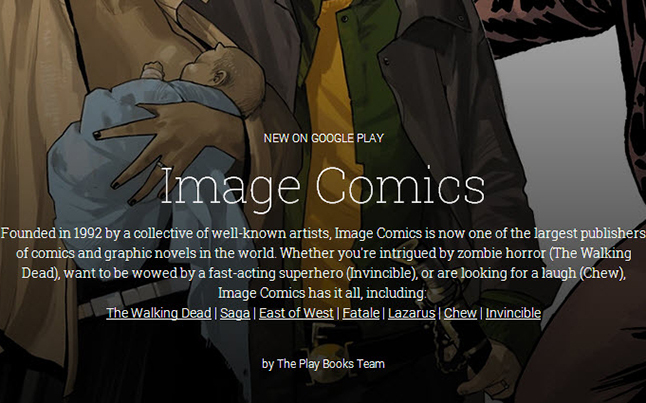 To mark the occasion, Image has made the first issue of the comic series free to download on Google Play Books. 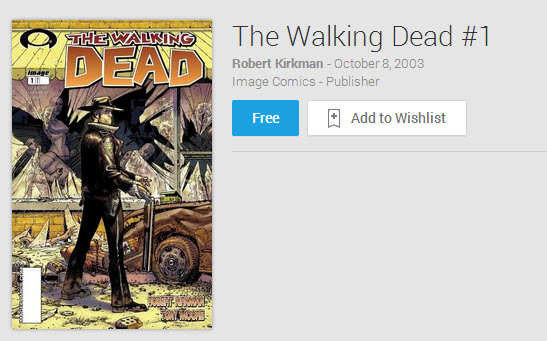 That’s right, the very first issue of The Walking Dead comic is free! There will be over 500 releases available from Image soon on Google Play Books. The releases include some of their greatest hit titles like The Walking Dead, Saga, East of West, Chew, and many more. The world is moving more and more towards digital content, and this move of making titles available for download, is just the way to go. Instead of having to run out and buy a copy, you can simply download a copy, and read it when convenient.